Armed with one of Canada's most beloved back catalogues, the multi-talented entertainer puts 100% sweat equity into his concerts, whether wailing behind the microphone or pounding out an instantly familiar riff at the piano. The Canadian Rock Legend is back on tour! With a resume bursting with achievement, Burton Cummings is one of Canada's most beloved sons. 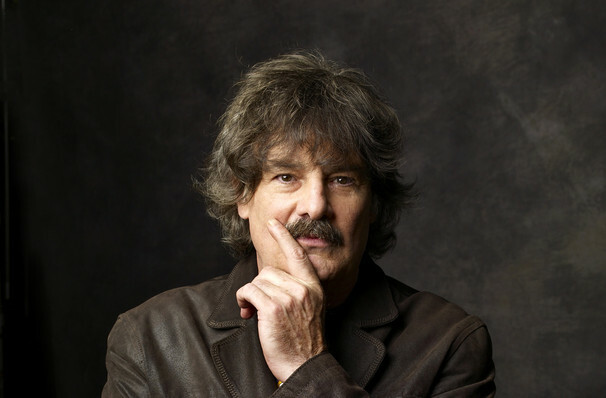 His long and illustrious career saw heady rock-stardom with era-defining The Guess Who, who became the first Canadian band to reach the Billboard #1 and sold millions across the nation. As a solo artist, he's continued to evolve and create his rock and bluesy tunes, sharing his incredible voice on many amazing songs, including Stand Tall and My Own Way to Race. The numbers speak for themselves when it comes to Burton Cummings. With a career spanning several decades Cummings has achieved the no mean feat of recording 50 albums, releasing 47 singles and achieving 8 multi-platinum albums. Catch Burton on his latest tour, where you can guarantee a heady journey through his extensive and diverse back catalogue that will have you dancing in the aisles! Sound good to you? 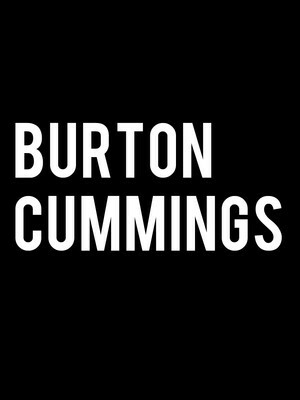 Share this page on social media and let your friends know about Burton Cummings at Sony Hall. Please note: The term Sony Hall and/or Burton Cummings as well as all associated graphics, logos, and/or other trademarks, tradenames or copyrights are the property of the Sony Hall and/or Burton Cummings and are used herein for factual descriptive purposes only. We are in no way associated with or authorized by the Sony Hall and/or Burton Cummings and neither that entity nor any of its affiliates have licensed or endorsed us to sell tickets, goods and or services in conjunction with their events.